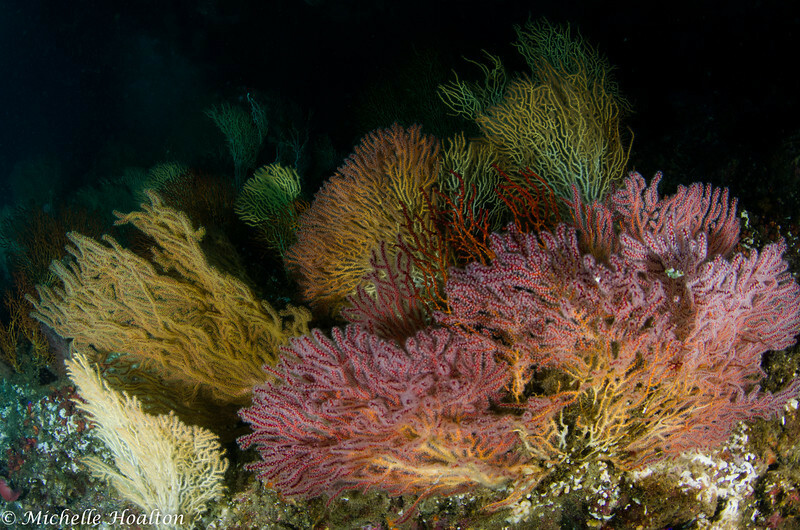 Another adventure diving Catalina Island, this time the treasure found was beautiful large and colorful gorgonians (commonly known as sea fans). Growing downward, upward, left and right off the reefs, these invertebrate structures come in a rainbow of colors and are host to a wide variety of marine life, providing food, shelter and even nursery grounds. 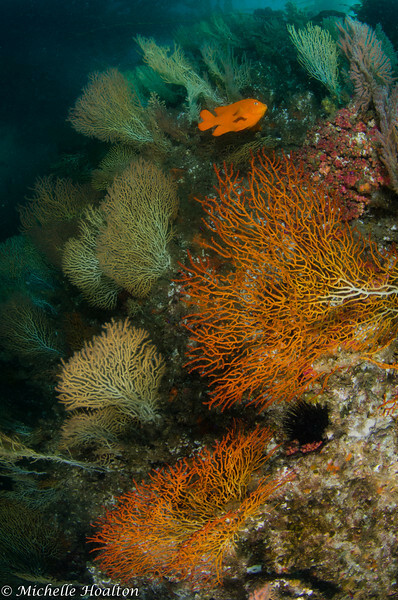 Not far from this magnificent forest of sea fans a wide variety of fish and large marine life were also found. Nesting garibaldis didn't care for my intrusion as I shot snapshots of them guarding their nests of thousands of babies. 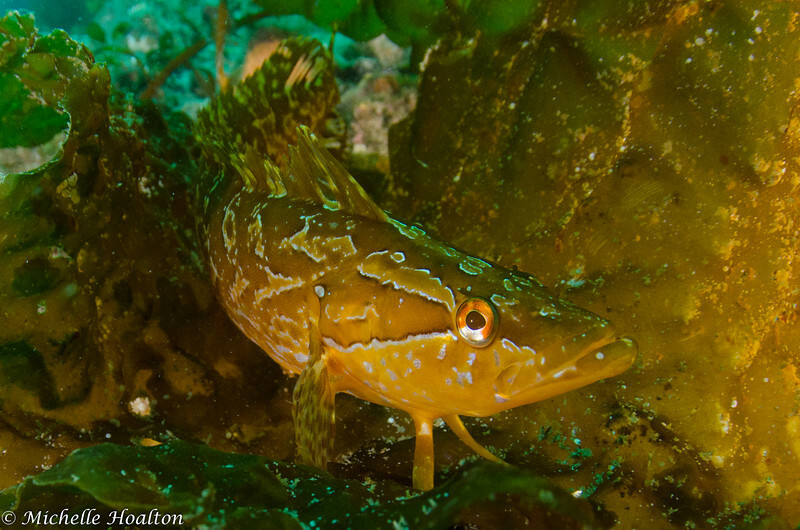 Giant kepfish peered out of the kelp stalks while almost successfully camouflaged. 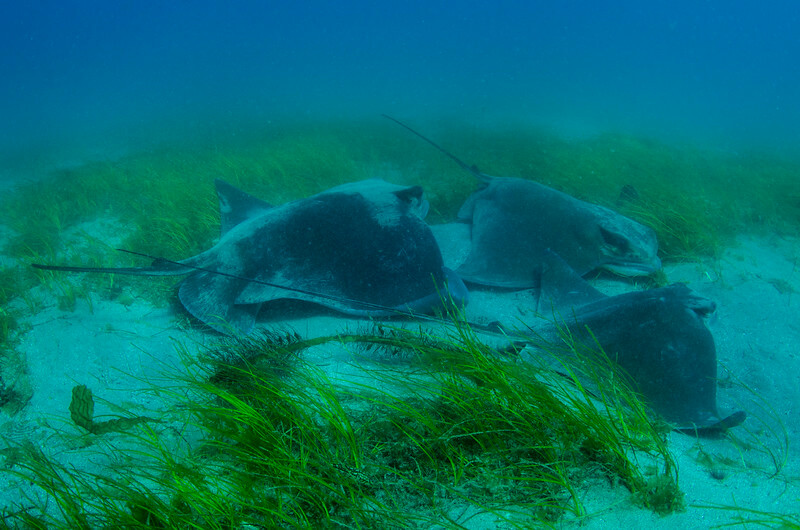 In a mostly sandy area with scattered sea grass gardens, dozens of large bat rays, some with wing spans longer than my arm span glided around and sent puffs of sand into the water column as they moved from place to place, often to be cleaned by small fish such as rock wrasse and senioritas. It was a beautiful late spring day to be at the island. 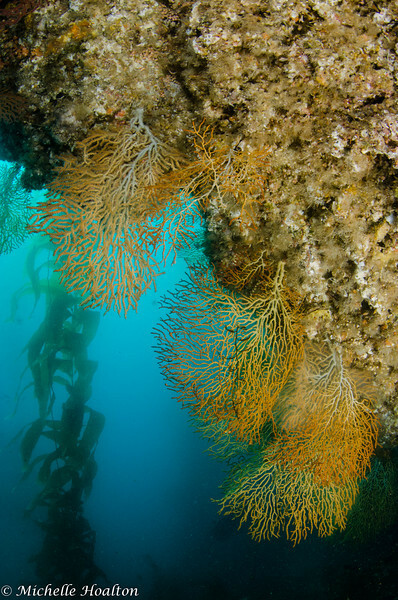 These golden gorgonians cover the rock face of the reef. Red, brown and golden gorgonian forest. 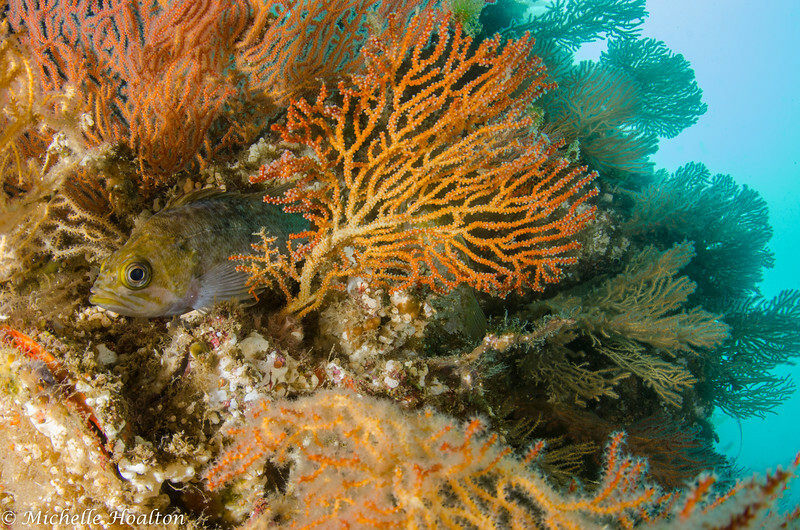 A kelp rockfish doing its best to blend in with the gorgonians. 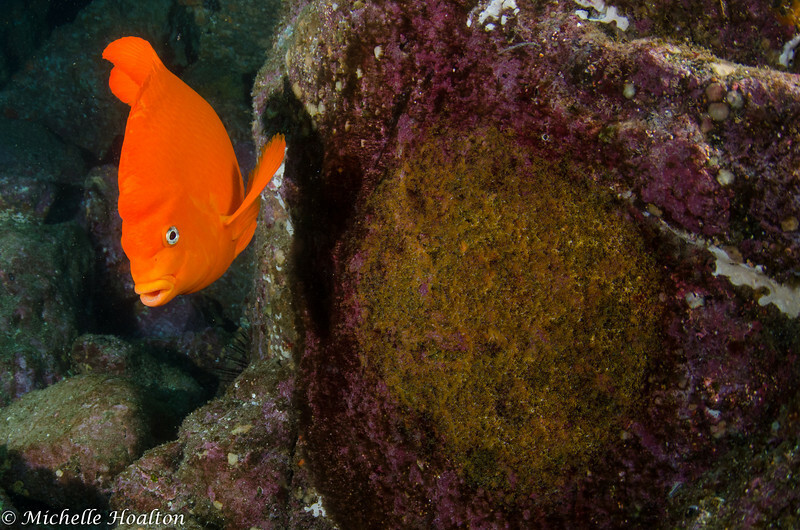 A common site this time of year is a large Garibaldi guarding near smooth rock-faces covered in eggs. These eggs look like they were recently laid, given their bright orange color. The eggs usually hatch in about 20 days from the day they were laid.